STP Is About Creating A Two Tier System. The Sustainability and Transformation Plans have divided the NHS in England into 44 local areas, and each has been told to cut services as part of a nationwide ‘financial reset’. But what’s actually going on, and how much of the government’s reasoning is just spin?NHAspace brings you a handy myth-busting guide. Despite her laughter at my physical agony earlier today (long story), I am happy to reblog another post from Becky Cutts about refugees in the Greek Islands. Today marks exactly one week since I arrived in Lesbos, and I have to say, it has been an incredibly busy week at that. I have so much to write about that I really don’t know where to begin. Becky Cutts reminds us that the refugee crisis has not only NOT gone away, it is getting worse. 11 months ago, a picture flashed across our television screens, filled social media feeds, and implanted itself firmly in our minds. The picture showed a young Syrian boy, only three years old. His body lay on a beach, looking almost as though he was sleeping. The young child had perished whilst trying to reach the safety of Europe. This picture of Aylan Kurdi automatically went viral. Thousands took to social media to declare #RefugeesWelcome. All of a sudden, the media were forced to start talking about refugees as humans, rather than swarms. Politicians began to clamour for the opportunity to show that they were trying to help those fleeing war and persecution. Donations to the Calais “Jungle” increased drastically, making a huge difference to the lives of the men, women and children living there. by Martin Odoni, with contributions from Hillsborough Justice Campaigners. Compiled and written Summer 2014, published August 2016. The assassination of John F Kennedy in Dallas, 1963, was one of the most unfortunately mythologised events of the 20th Century. It has been subject to countless conspiracy theories in the half-century and more since it happened, most of which are only advanced by selective and distorted presentation of the evidence. It has also been subject to the machinations of fantasists who appear to be desperate for publicity, and therefore try to associate themselves with the assassination in ways that are not real – usually claiming to be a witness when they were not even in Dealey Plaza on the day or suchlike. Anything that they think will get them on the TV, or will sell copies of the book they plan to write on the subject. One of the worst of these fantasists to emerge in relatively recent years is a long-time resident of the Danville Correctional Center. His name is James Sutton, although he more often goes by the alias ‘James Files’. Serving a life sentence for the murder of two police officers, he has latched onto the long-running theory that there were two gunmen involved in the Kennedy Assassination, by claiming that he was the putative ‘Second Gunman’ – sometimes referred to as ‘The Man Behind The Picket Fence’, or ‘The Man On The Grassy Knoll’. The difficulty is that when assassination researchers have analysed Files’ claims, they have found them to be riddled with historical inaccuracies, incorrect information about the weapon he used, self-contradictions, and a noticeable tendency for his story to change with each re-telling. Now this essay is not about James Files, or even the Assassination, so there will be no comprehensive breakdown of the flaws in his story. (A read of Dave Perry’s excellent analysis is recommended though.) But what Files’ behaviour shows is a pattern that can apply to any high-profile death. A famous person is murdered, or large numbers of people die in a single calamity, and the attention of the world is drawn. And many people will be fascinated to know exactly how and why it happened, which means that there is every possibility that the event will not just go away for quite some time, at least until their questions are answered. Such an event is always vulnerable, therefore, to the crank. To the attention-seeker who sees an opportunity to get noticed. Regular followers of this blog will be aware of the long-running hostility between its regular writer about the Hillsborough Disaster, Martin Odoni, and Christopher Whittle, a putative survivor of the fatal human crush that occurred at the Hillsborough Stadium in Sheffield in April, 1989. The first exchanges between them were on a Facebook group in October 2012, then the arguments resumed a few months later when Odoni wrote a less-than-praise-lavish review of a book that Whittle had written about the Disaster, called With Hope In Your Heart: A Hillsborough Survivor’s Story, The Denial Of Justice & A Personal Battle With PTSD. (Hereafter it will just be referred to as With Hope In Your Heart.) Whittle has further made some insinuating remarks behind Odoni’s back, implying a history of criticising spectator-behaviour at Hillsborough, an allegation Odoni denies. The reason for mentioning Whittle and Files together though is that a few Hillsborough campaigners have, in recent times, come to notice issues with Whittle’s accounts of what he saw and experienced while in the throes of the human crush. His book of course gives his lengthiest and most detailed narrative of what happened, but he has also given a number of interviews to the news media, as well as posted details to various internet forums and the like. And, a little like James Files’ varying descriptions of the day he supposedly fired the fatal ‘head-shot’ to kill a US President, Whittle’s descriptions of the day he came close to being crushed to death at Hillsborough do seem a little inconsistent with each other, and with other known facts. It needs to be made clear before proceeding that the writers are not necessarily asserting that Whittle is an actual fraud. However, their position is that some of the anomalies they have found – if Whittle cannot explain them away convincingly – would suggest that he is, at best, guilty of serious embellishment. While there is little chance of this essay being completely comprehensive, the writers have decided to offer a run-down of many of the inaccuracies, unexplained inconsistencies, and anomalies that they have noticed when studying the various accounts Whittle has offered. NB: We are applying a colour code to the anomalies we have found, to rate how severe each one of them is. A few of the anomalies, we concede, are minor quibbles that can most plausibly be put down to Whittle just making a silly mistake in writing, and so we have rated them as ‘Code Green‘ i.e. these mistakes are more comical than insidious, so readers should probably just laugh at them and move on. ‘Code Amber‘ is assigned to more serious inaccuracies that cannot simply be put down to careless writing, but that we recognise there may be innocent explanations for, ones that Whittle really should have clarified in his book before it was published. They should therefore be treated with great caution until such a time as they are plausibly accounted for. ‘Code Red‘ is for a severe anomaly, one that is so at odds with established facts, or one that so flatly contradicts other assertions Whittle has himself made, that we are unable to see how it can be reconciled without introducing extra details so significant that there is no plausible reason for Whittle failing to include them in his account to begin with. In other words, from what we presently know, the likeliest explanation we can find for these flaws is that Whittle is guilty of fabrication. One of the most frequent and baffling changes to keep happening to Whittle’s story is which of the two central pens on the Leppings Lane terrace he was caught up in. 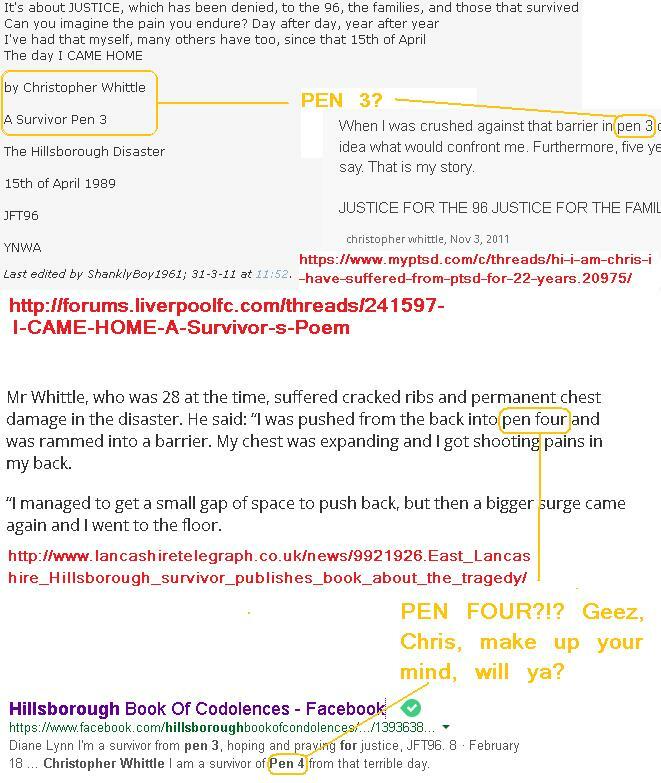 For some time, he would refer to himself on Internet forums as “Chris Whittle, pen 3 survivor” or some close variation. Suddenly, around 2011, he started saying that he had been in pen 4 instead. Christopher Whittle has discussed his Hillsborough Disaster experience on many websites across the Internet. Interestingly, at least one key detail in his story keeps changing……. He does refer to this anomaly in With Hope In Your Heart, stating that he had simply assumed for a long time that he was in pen 3, and only when he noticed himself in film footage of pen 4 after many years did he realise he was wrong. The difficulty is, this attempt at an explanation in fact makes his story sound even more problematic, not less, as the following information highlights. There is a jarring problem with that description. Facing from the tunnel under the West Stand towards the pitch, in those days pen 3 would have been to Whittle’s right, not pen 4. The Leppings Lane pens were numbered 1-to-7 from left-to-right when facing from the pitch, not when facing from the tunnel. The layout of the West Stand and Leppings Lane Terrace of Hillsborough, as it was in the late 1980’s. Note in the right half of the picture the tunnel and the numbering of the pens. Pen 3 is very visibly to the right for anyone leaving the tunnel. 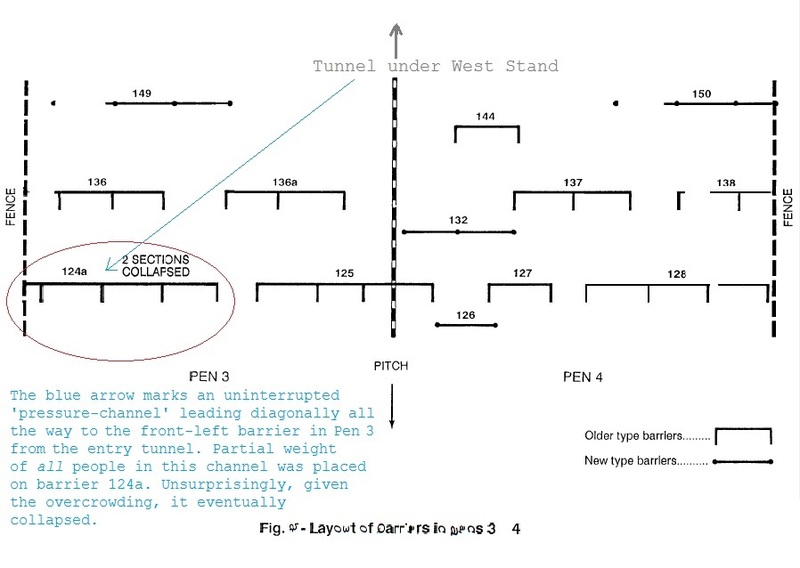 Whittle says in a later sentence, “All these years, I thought I had been in Pen 3, but in reality I was in Pen 4.” But if he went right when leaving the tunnel, that would mean that in “all these years” he would have been correct. The analysis of film footage that caused him to change his mind appears to have misled him, and that does sound, at best, highly unusual. To get it right for years and years, then finally to recheck the facts and change your mind, but in doing so to start getting it wrong sounds very counter-intuitive. A check of the facts should clarify, not create muddle. This afterthought does sound a bit like he is anticipating an unspoken objection and wants to nip it in the bud. And in so doing, he inadvertently makes the objection a lot likelier to be spoken. After Exit Gate C was opened by the police to relieve pressure on the turnstiles, about three-quarters of the fans who had still been waiting to get in headed, unguided, straight for the central tunnel under the West Stand, leading into the already overcrowded central pens of the Leppings Lane terrace. The weight of numbers as spectators went through the tunnel was so great that many were propelled through it at great speed, with no control over their limbs or movements. Some were just carried forward, their feet no longer touching the ground, as they hurtled into the packed central pens. Some of the new arrivals were turned around in the press of the tunnel and found themselves being carried backwards into the pens. So from this, it seems pretty clear that Whittle is stating that he was facing ahead as he went through the tunnel; it certainly seems bizarre that he would not think to mention it if he were carried backwards through the tunnel. There is no issue with this in itself. However, in a rather angry online conversation with another Hillsborough campaigner, Louise Brookes, Whittle stated that he was carried backwards through the tunnel. Whittle asserted that he arrived in the pen facing backwards and towards the letter R on the PRESTO advertising sign that was above the tunnel. These excerpts again seem to indicate that he was facing forwards, and that his chest was pinned against a crush barrier. (More problems with that description in 3).) He even describes ‘distinctly’ remembering Peter Beardsley hitting a shot against the crossbar in the game, which again indicates that he must have been facing towards the pitch. At no stage in his account does he refer to being turned around again or facing away from the pitch. So which one was it? Was he facing forwards or backwards? And if he was sometimes facing one way, sometimes another, changing according to crowd movements, why does Whittle never mention being turned around, when it would appear critical to a reader’s understanding of what had happened to him? If Christopher Whittle has changed his mind over which pen he was in, then that immediately opens up another paradox in his story. He claims that, after leaving the tunnel and going into the pen to his right, he soon found himself jammed against a crush barrier, near the top of the pen, close to the dividing fence. The problem with that is, if he means pen 3 and not pen 4, there was no crush barrier there for him to be jammed against. The layout of the crush barriers and fences on the central pens. Whittle claims to have gone right as he left the tunnel, and was soon jammed against a crush barrier near the top of the pen, close to the fence. As we can see from this diagram, there was no crush barrier at that position. The closest crush barrier in the pen he claims to have entered i.e. the one to the right on leaving the tunnel, was 136a, and that was halfway down the pen. There was a crush barrier close to the top of the dividing fence in pen 4, barrier 144. But how could Whittle have managed to arrive at that position by going right on leaving the tunnel? (See 1.) Also, barrier 144 would not have been level with the letter R in the ‘PRESTO’ sign, which was just slightly to the right of the central fence, although it would have been somewhat close (see 2)). So he writes that he nearly fell over in one version, but he says that he actually did fall over in another. Which is correct? This is important, because the danger of trampling makes his survival harder to explain if he had gone to ground. This is probably the most severe flaw in all of Whittle’s recollections. But Whittle has just said that he could not move one inch. He had no decision to make, because he has just described his situation as one over which he had no control whatsoever, even down to the movements of his own limbs. And yet suddenly he announces that he was able to decide which pen he wished to step into? For Whittle to be stood by the fence at the top of the terrace, given the many more people arriving behind him, it would not be possible for Whittle to move between the pens at all anyway. Whittle’s assertion contradicts not only his own previous sentence, but also the accounts of other survivors who had entered the stadium through Exit Gate C. Many of them describe being caught up in that same wave of force propelling them through the tunnel, but they also state that they were carried out of control from the tunnel and into the pens, without any influence on where they were going to end up. (See the account of, among others, Neil Fitzmaurice; in particular, read the section headed ‘The Pens‘.) This is because the propulsion of the crowd pressure did not just stop at the end of the tunnel; in the same way that when you shake up a bottle of fizzy liquid and then remove the lid, the liquid continues expanding out of control and spraying all over the place even after it has overflowed from the bottleneck. And yet mysteriously, Whittle suddenly got full control over his limbs and movements back once he was out of the tunnel, and even got to choose where to go, despite scores more people still pouring out of the tunnel behind him. 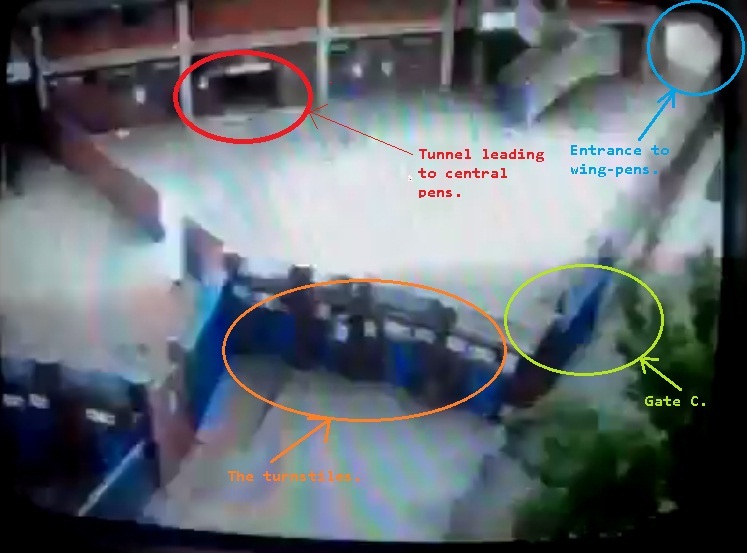 As the previous anomalies we have analysed have highlighted, Whittle claims that, after being propelled out of the tunnel, and apparently pausing calmly in mid-flight to deliberate upon which pen he should be thrown into, he got pinned against a crush barrier near the top of the pen he was in. The problem with this claim is that by the time he had arrived i.e. some point after the Exit Gate was opened at 2:52pm, the central pens were already overcrowded. Plenty of people had arrived before him, and in the press of the excess numbers, those who had arrived at the crush barriers first would already have been jammed against them before Whittle had even gone into the tunnel. Therefore, we have to ask how they got moved out of the way to make room for Whittle to go crashing into the barrier. On page 21 of Whittle’s book, there appears to be, at best, another possible self-contradiction, and at worst, a possible sighting of something that was not even there. And if it is neither of them, it is simply yet another example of the appalling lack-of-clarity in Whittle’s writing. Here lies the contradiction in Whittle’s description. He says that if you were a fan in Leppings Lane that day, you were “Left to your own devices.” And yet he also says that you would be subject to what sounds like extravagant stop-and-search by the police? How can both be possible at once? It is not possible to search someone and simultaneously leave them to their own devices. For that matter, where was this stop-and-search zealotry seen? There were some coaches that were stopped-and-searched as they carried fans into Sheffield that day, but if that is what he means, why does he not mention that he was referring to people in traffic? And would that not count among the “hold-ups on the motorway”? Surely not, because reading the sentence as written, he uses the words “as well”, which explicitly draws a distinction between stop-and-search and motorway hold-ups. So where did he see it happening? In Leppings Lane? No other witness we are aware of ever saw it happening there on any significant scale. Indeed, one of the problems in Leppings Lane was lack of policing, including none of the filtering from the previous year. Surely the filters are where such stop-and-search methods would be employed? He states unambiguously in his book that he was born on 24th June 1961. This would make him 27 at the time of the Hillsborough Disaster. But in interviews that he gives to the media on the subject – including this one he gave to the Lancashire Telegraph in 2012 – he says he was 28. On its own, we can probably let that pass, seeing it was only a couple of months to his birthday at the time of the crush. But it does not stop there. Early in 2014, he gave an interview to the Burnley Express. (There are other issues with this interview we will come to later – see 11).) In that, there is a photo of him captioned to say that he is 51 years old, while the text of the interview says, somewhat confusingly, that he is 52. If he was 51 in February 2014, then he would have been born in 1962-63. Either way, why does he keep giving his age differently? Chapter 11 of Whittle’s book, ‘Return To Hell’, describes a journey he supposedly took back to Sheffield in June 2011 to survey the scene of the Disaster once more. On page 129, Whittle states that his re-visit was twenty-three years after he had last been there. The problem? If that were so, he could not have been present at the Hillsborough Disaster, because twenty-three years before 2011, the year would have been 1988. To compound the confusion, on page 128, he states that his last visit had been about seven months after the Disaster, for a league match between Sheffield Wednesday and Liverpool in November 1989. That game was indeed played when he stated it was. But that was twenty-one-and-a-half years before his next visit, or thereabouts, not twenty-three years. He then goes and contradicts himself on the very next page by saying the gap between visits was twenty-two years. But then on page 132, he says it was twenty-three years again. Some of this could be put down to ordinary carelessness e.g. at times thinking in terms of the year the book was published instead of the year he made the visit. But the doubts are magnified when, on page 130, Whittle describes reverse-treading his steps through the Leppings Lane entry concourse. During this, he states that he was allowed out by a groundsman through an Exit Gate on the concourse. Whittle asserts that it was none other than Exit Gate C itself that he was let out through. What makes the whole anecdote of Whittle’s re-visit to Hillsborough seem doubtful is that, quite simply, Exit Gate C is not even there anymore, and has not been there since the Stadium underwent some minor redevelopment work in preparation for the 1996 European Championships. 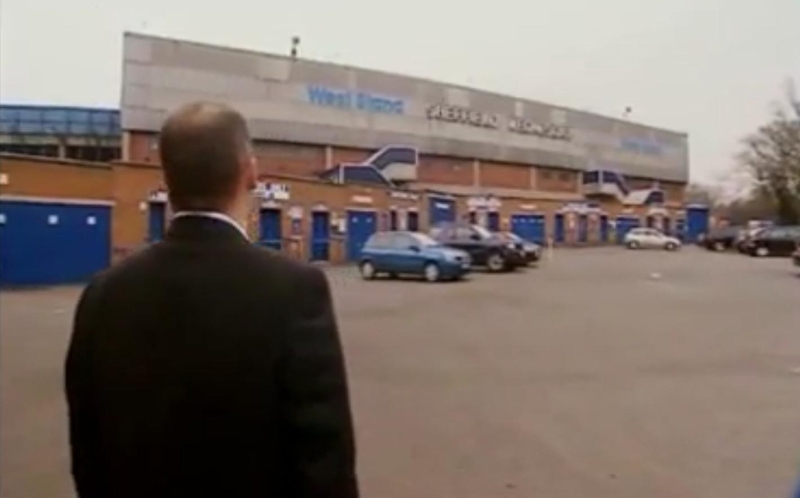 Below is a screenshot of Steve Wilson of BBC Sport on an episode of Football Focus in 2009 – the episode marking the twentieth anniversary of the Disaster, to which he had been an eyewitness. It shows very clearly that the lay-out of the Leppings Lane concourse, principally the turnstile wall, is quite different from how it was in 1989. And this is two years before the time Whittle claims he went back. Back in 1989, the turnstile wall was set much further away from the back wall of the West Stand, taking up much more of the concourse. Gate C was close to where those two cars are parked on the right side of the photo, although maybe a bit nearer the camera. The Gate would also have been facing roughly ‘away’ from the camera, because the wall at the time was set in a ‘zig-zag’ shape, rather than a straight line as it is now. A somewhat fuzzy image showing the 1989 layout of the Leppings Lane entry concourse. Given what a vivid memory the Disaster must surely be, it does seem extraordinary that Whittle could mis-remember Gate C so thoroughly. This is not directly about Hillsborough itself, but there is another bizarre reference in Whittle’s book on page 116, while discussing his life after the sad death of his brother, Anthony. Now, Martin Odoni is himself from the West Country, and it takes just a tiny fraction of his local knowledge to reveal that, if you went for a walk in Devon one morning, venturing twelve miles south of Plymouth, you would not wind up in Downderry. You would not even reach Cornwall, come to that. You would instead end up drowning in the depths of the English Channel. This is because Plymouth is of course on the south coast of Devon, not its north coast. Downderry is in fact nearly twenty miles – not twelve – from Plymouth. Twenty miles due west, that is. The only house we could find listed in Cornwall that actually goes by the name ‘Eddystone Cottage’ is in Liskeard. Liskeard is about twenty-five miles inland from Downderry. These could just be written off as yet more pebbles in the avalanche of silly mistakes that litter the book from beginning to end, except for the fact that Whittle claims that he and his family had holidayed in Downderry repeatedly over the previous thirteen years, always staying in the same guest house. Surely if he were that familiar with the area by then – and presumably would have been able to remember the distances listed on the local road-signs among other details – he would have avoided such a laughably wrong description? 11) You are going to speak at the Inquests, Mr. Whittle? That’s strange. No one appears to have told any of the people running the Inquests that. And do you even know, for that matter, where they are being held? Going back to the interview Whittle gave to the Burnley Express in February 2014, some two months before the re-booted Coroner’s Inquests into the Disaster began, he announced to the newspaper that he has been asked to give evidence at the inquests, taking place in Wigan. There are only two things wrong with this claim; everything he claims for himself, and everything he claims for the Inquests’ background. Firstly, the Inquests are not taking place in Wigan, they are happening in Birchwood, which is in Warrington. But secondly and far more importantly, it is startling that Whittle supposedly knew as far back as February that year who was on the witness list for the legal team representing the bereaved families and survivors. This is because at that point, the witness list had not even been written up yet. Witnesses on the list did not receive their call-ups until May, some three months after the interview was published. When questioned on this by Charlotte Hennessy, Whittle said that his solicitor had told him he would definitely be called up. This is, in itself, a change-of-story, because in the interview, Whittle said he already had been called. Now he was saying it was a prediction for the future by his solicitor. Now, there is a witness list for the inquests, but it is not available to the public, and we are not at liberty to reveal who is on it. But what we can state categorically is that Whittle is not on the list, he has not been called to give evidence to anybody, and there are no plans at the time-of-writing to call him up in the future either. So where exactly is Whittle getting his information from, and perhaps more to the point, why does he feel this strange need to keep announcing this information to the local media in East Lancashire? Odoni’s conclusion after lengthy research is that the quotation is probably not genuine, as he has never been able to find a reliable first-hand source for it, and it is always presented entirely on its own, without any firm explanation of context, when it was said, whom it was said to, or anything else that was said in the putative conversation. Even the word-content of the quotation is often subject to change. Whittle’s position in the argument was that the quotation is genuine, to which Odoni responded with a demand for a source. After some considerable back-and-forth between them, Whittle eventually declared that he had been present when Thatcher said it. The conversation ended soon after, with Whittle refusing to be drawn on when he had met Thatcher, why he was there, and what might have prompted Thatcher to say anything so potentially explosive in front of members of the public. This claim by Whittle is, to put it mildly, a huge stretch, and it is not helped by his general conduct since 1989-90. If he had heard such a dangerous, corrupt remark from a Prime Minister back then, why did he wait until 2012 to announce it? Even though his book mentions the ‘Thatcher quote’ on two occasions, once on page 66, and once on page 142, on neither page does he mention any source for the quotation, let alone put himself forward as the source. He just presents it as an impermeable fact that she said it. His book is something of an autobiography, and surely meeting the Prime Minister would have been worth a mention? Doubly so if he heard her implying that she wanted to stitch up a legal inquiry. Sill more so given the vitriolic comments Whittle makes about Thatcher throughout the book. Something to substantiate the quotation would surely be perfect supporting material. But no, he does not mention meeting her at all. Given his injuries, the one time and place it seems at least half-likely he could have met Thatcher was at the hospitals in Sheffield on the day after the Disaster. But no, when discussing Thatcher’s visit on pages 54-55, he talks about the Liverpool fans in the hospitals entirely in the third person, and he had previously indicated on page 31 anyway that he had gone home to Burnley the night before, just a few hours after the Disaster. It is also interesting to note that he words the quotation differently on the two pages on which he references it. On page 66, Thatcher is quoted as saying, “I do not want any policeman prosecuted over Hillsborough.” On page 142, she instead says, “No police officer should be prosecuted over Hillsborough.” If he were truly there to hear her say it, why is he having such trouble recalling her wording? Nowhere on the internet, apart from his row with Martin Odoni, is there any indication at all that Whittle ever met Margaret Thatcher. Given that the argument with Odoni was on a minor Facebook page, it seems incredible that it was judged an important enough dispute to reveal what otherwise seems to have been regarded for unknown reasons as an inviolable secret. So what is the truth? Did Whittle really meet Margaret Thatcher? Did he really hear her declare her intention to pervert the course of justice? If he did, why did he keep it a secret for well over twenty years? And if he did not, why did he make such a claim? 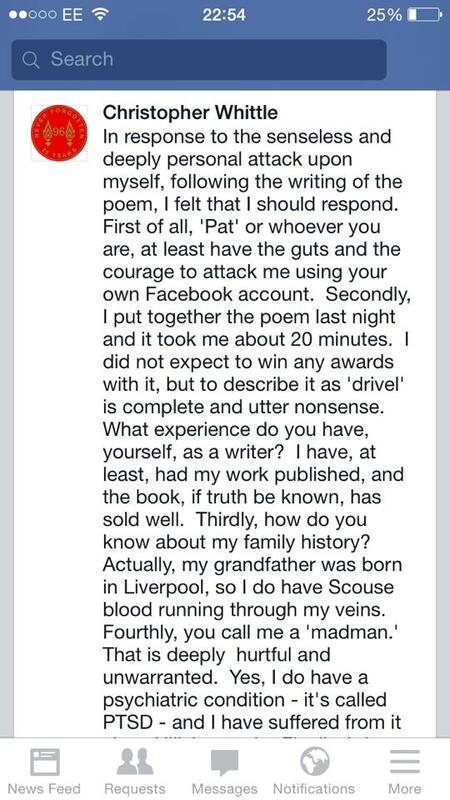 During a recent row over Facebook with some other Hillsborough campaigners, among them Pat Murray, in amongst a characteristic display of irrelevant ‘willy-waving’ about how well his book has sold (ironic from a man who once accused one of our writers of being ‘high-and-mighty’), Whittle declared that his grandfather was born in Liverpool. We are assuming that he did this simply to make himself sound like he has stronger links to Liverpool than he really does, perhaps because he feels some strange need to justify being a Liverpool supporter? Whittle using the usual patronising, “What writing experience do *you* have then?” routine when someone criticises his work – in this case a hurriedly-written poem. Note that he then claims that his grandfather was from Liverpool; only he wasn’t. But whatever his motive, there is, yet again, a problem with his assertion. Looking at his own book, in the very first chapter, ‘Born To Be A Scouse’, Whittle declares that his grandfather, Henry Corcoran, was born in the Lancashire market town of Ormskirk. Which is of course not in Liverpool. Somewhat close to Liverpool, yes, but certainly not part of Liverpool, indeed not even part of Merseyside. Also according to that very same chapter of With Hope In Your Heart, the Corcorans later moved to a farm in Skelmersdale, which is no more a part of Liverpool than Ormskirk is. Not for the first time, Whittle appears to be massaging facts in order to suit the immediate argument he wishes to see advanced. If he later requires an argument that depends on his not being so closely associated with Liverpool, we can be confident he will declare that his grandfather was from Ormskirk, before making sure everyone realises that Ormskirk is not actually in Liverpool itself. This is, effectively, a form of spin-doctoring, but not one that is at all difficult to debunk. 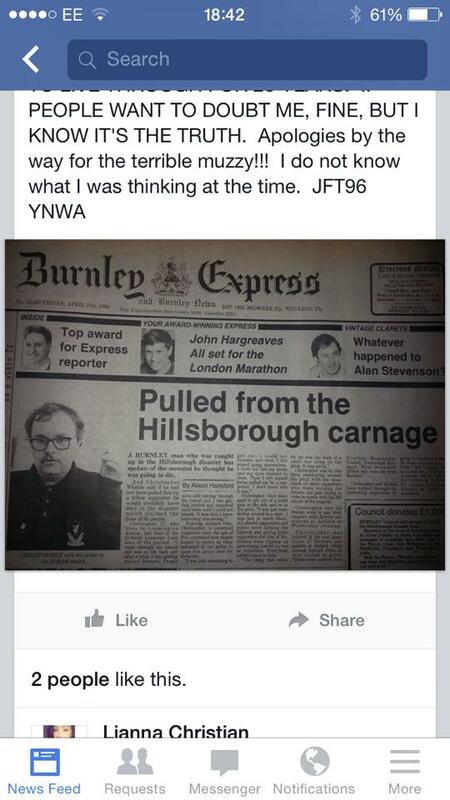 A few days after the Disaster, Whittle appeared in a Burnley local newspaper giving his story of what he had been through at Hillsborough. Presumably, this was the first interview he ever gave to the media about the Disaster. The front page of a local newspaper in Burnley shows a young, moustachio’d Christopher Whittle holding up his match ticket for the world to see. This is the only reference in his book, and indeed in various other sources, that comes close to corresponding with what he said in that first interview he gave a week after the Disaster. The problem is, “pulled free” and “pulled up” do not mean the same thing. In the very first interview, he seems to be saying that a fellow supporter pulled him out of the crush, and out of the pen altogether (it would be easier to tell if the photo, provided by Whittle himself, were not so blurred, as it makes it very awkward to read). But in subsequent re-tellings, he seems to be saying that he was about to fall over – or even that he did fall over – and a fellow supporter grabbed him and pulled him upright before he could be trampled on. But even after being lifted up, Whittle was still jammed in the crowd. In other words, this other supporter kept him from dying, but was not able extract him from the crush. Either way, it will be seen that he describes extracting himself from the pens, rather than somebody else pulling him free. Clarity, never a strong point in any of Whittle’s writings, is sorely needed here, as presently the contradiction is startling. On page 25 of his book, Whittle states that he could not see much in front of him after he had escaped from the pens, because he had lost his glasses in the crush. He says that he never did find them, but over the next couple of pages, he describes seeing several things from a distance. In particular, he describes on page 28 walking back up Leppings Lane and looking back towards Gate C. How could he see it without his glasses? Is he long-sighted, not short-sighted perhaps? Analysing the picture of Whittle in this interview, he looks quite visibly short-sighted, as the glasses he is wearing make his eyes look smaller, and the sides of his face look narrower; concave lenses sharpen images at the cost of reducing their apparent size. If he were long-sighted, his glasses would have convex lenses that would make his eyes look bigger. Given the position of Gate C, it is also debatable whether it was even visible from Leppings Lane, as the turnstile bank right next to it, as well as Gate B, would have been in the way. So how could he have seen Gate C from Leppings Lane? At the top of page 26, Whittle rages that he only saw one ambulance while he was inside the stadium. (Judging by his remarks about having no glasses in 15) it is perhaps a bit of a mystery how he even saw that.) While we wholeheartedly agree with his general point that it was an outrage that so many ambulances were allowed to sit idle outside the stadium while people were dying inside, it is perhaps a bit suspicious that, of all the totals he could offer, the one he propagates just happens to be the frequently-stated myth; that only one ambulance made it onto the pitch at Hillsborough. In fact, there were not one, not two, but three ambulances that reached the pitch at Hillsborough, and, as all of them had sirens blaring away as they entered the stadium, even a man without glasses should have been able to appreciate that they were there. It is possible to counter this by pointing out that Whittle was in terrible shock at that time. A fair point, but if that is the reason he failed to notice two of the ambulances, the question is immediately raised as to how he noticed the remaining one. Assuming that, by ‘bolted’, Whittle means the usual definition i.e. ‘ran away out of the control of its rider’, then he appears to have been witness to an event nobody else saw; not even the police officer on the horse’s back, it would appear, as no police reports from that day mention a horse actually running away. No other witness that we can find claims to have seen a horse running away out of control during the crush outside the stadium either. There was an incident when a horse reared up dangerously in panic against the growing press of the crowd, described by some witnesses somewhat mistakenly as the horse being bodily “lifted off its feet”, but it certainly never ‘bolted’. When or where, exactly, did Whittle see this happening? “Mr Hewstone says… he went in the tunnel, he was the only fan in there. He says the match had already started. He says he never got onto the terrace. He says some fans did go past him and did force their way into the crowd. If we look again at 16), we notice that Whittle’s mis-remembering of the ambulances ‘just happens’ to make his account coincide with one of the frequently-stated myths of the Hillsborough Disaster i.e. that on the day only one ambulance ever reached the pitch, when in reality three did. It is similar with this assertion on page 23. He states that people fell in the tunnel and were probably trampled on, a description that ‘just happens’ to conform to another commonly-held myth that a number of the people who died at Hillsborough were trampled to death in the tunnel. One officer of the South Yorkshire Police appears to have started the rumour during the rescue effort by dramatically claiming to one of his colleagues that some forty people had died in the tunnel (which would make it strange that the tunnel did not became impassably blocked a long way short of the exit onto the pens). Slightly less hyperbolic versions of this, suggesting twenty people were killed in the tunnel, still circulate even today. In fact, as Hewstone’s testimony above demonstrates, there is no firm evidence that any of the victims died in the tunnel. It is likely that some people stumbled as they were passing through, but the weight and density of the crowd was such that they would probably have been carried forward off their feet onto the terrace. Given that Whittle makes (accurate) reference to the tunnel being so closely-packed with people and so very poorly lit, one has to ask, how could he even have noticed people falling to be trampled on? As has been noted both here and elsewhere, Christopher Whittle is not the most reliable reporter of other people’s words. This might be due to an attention deficit on his part at times, but he has shown scant reluctance to invent quotations out of nowhere and put them in the mouths of his perceived ‘enemies’; see 12) for one of the most serious examples. The fact that evidence to the contrary is sometimes even present on the very same websites on which he spreads these phantom quotations does not appear to cause him much hesitation either. Therefore, whenever he is publishing to a medium that has no fact-checking ‘built-in’ e.g. writing a book, it should come as no surprise to find that significant misquotations are never far away. As one example of Whittle making a false quotation, there is a long-running controversy over the disappearance of two CCTV cassettes from a locked cupboard in the (also locked) police control room at Hillsborough during the night after the Disaster. This matter is discussed on page 72 of Whittle’s book, where he asserts, “two video tapes, which filmed the horrific events unfold[sic], went missing from the police control room at Hillsborough during a ‘break in’[sic].” This grammatically-poor assertion is very misleading. By putting the words ‘break in’ in speech marks, Whittle is implying that this is a quotation of an officially-stated explanation. But, as is the case with almost any assertion he makes in his book, he cites no source for it. 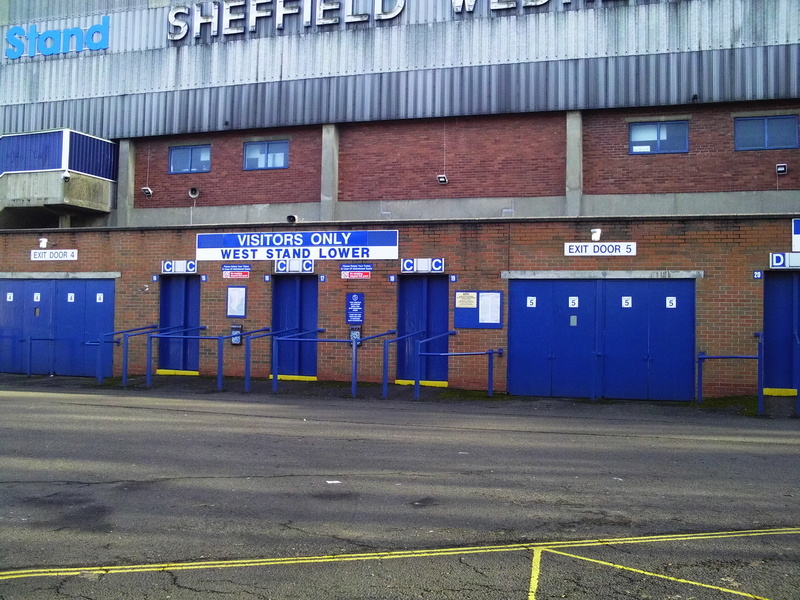 There is a very simple reason why there is no citation; no one, be they at Sheffield Wednesday Football Club, or in the South Yorkshire Police, has ever officially declared that the disappearance of the tapes was the result of a break-in. What happened to them is, to this day, still unknown; they have simply been declared ‘missing without explanation’. It is scandalous that no one among the authorities has ever bothered to find such an explanation of course, but no formal cover story was ever circulated to try and stop people asking awkward questions. Furthermore, to the best knowledge of Roger Houldsworth, the former CCTV technician at the club, the tapes did not contain footage of the Disaster unfolding. His understanding was that the camera feeding the first of the tapes was pointed at exit gates at the east end of the ground, while the second one had been in a VCR that had not been activated at all on the day of the Disaster – presumably blank therefore. Whoever removed the tapes – and yes it seems all-too-likely that they were stolen – might well have been trying to hide incriminating footage. But if that is the case, it looks like they ended up stealing the wrong tapes, perhaps because they were in too much of a hurry. There is little likelihood of this ‘hidden evidence’ revealing anything about the Disaster. Mysteriously, these details do not get a mention in Whittle’s book, but an unsourced assertion by nobody we can identify does. On page 66-67, Whittle asserts that Dr. Stefan Popper, the South Yorkshire West District Coroner, had no basis for his decision to impose the notorious ‘3:15pm cut-off time’ for evidence at the Hillsborough Inquests. He then neatly contradicts himself two sentences later by saying that the basis Popper used was that there were St. John’s Ambulance personnel on the pitch. In fact, Popper did not use the 3:15pm cut-off for that reason as such. He did have a basis for it, albeit a calamitously-flawed one that made a complete hash of the original Inquest, and the ambulance personnel were involved. But there was a lot more to it than that. He in fact based the calculation on the typical features of traumatic asphyxia. So there is a basis of a kind for the cut-off time, and there is a sort of logic to it, albeit a very simplistic, assumption-based one. One can understand Popper’s thinking, even while noticing the gaping flaw in it; that he had not established whether the air-ways of all the victims had been closed long enough to seal their fates before 3:15pm. But Whittle does not appear to want Popper’s decision even to be comprehensible; it does not appear to be enough for him that his readers will probably disagree with the cut-off time, they must not even have a chance to make an informed judgement, just in case any of them decide for some reason that Popper’s reasoning is sound. So Whittle instead offers only a fragment of Popper’s explanation, out of its context, and presents it as the whole argument. This bit of casual ‘quote-mining’ makes the decision sound like a non-sequitur, and therefore not only wrong but incomprehensible. Why does Whittle feel the need to misrepresent the background to Popper’s decision? The flaws and false assumptions in Popper’s calculations have been exposed and laid bare by many a commentator over the years, all without them feeling any perceptible need to censor out key parts of what he actually said. 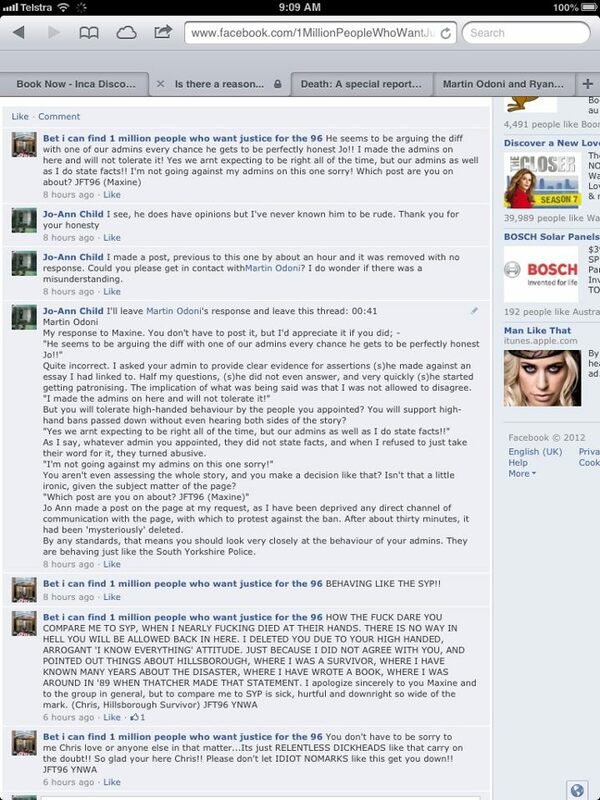 Falsification like this is surely only necessary if Whittle cannot convey the real reasons why the cut-off was wrong. On page 145 – not exactly a false quotation but near enough – he says of Graham Kelly, Chief Executive of the Football Association in 1989, that he “kept insisting and pressurising Liverpool to ‘play on’ [in that year’s FA Cup after the Disaster]”. This sentence is again grammatically poor (“kept insisting Liverpool to play on” should surely read “kept insisting Liverpool should play on”) but also, it is wildly exaggerated. Why ‘play on’ is put in speech marks is unclear anyway, but the implication of the sentence is that Kelly repeatedly badgered Liverpool Football Club into continuing to play the rest of that season’s FA Cup competition. In fact, Kelly only asked them – asked them, not ordered them – once, a couple of days after the Disaster, whether they were willing to continue playing in that season’s FA Cup. Kelly was given very public short shrift by John Smith, the then-Liverpool Chairman. Smith accused the FA in the media of being “insensitive” for asking such a question so soon after the tragedy. Whatever one’s view of that, it is clear that Kelly took the point, and apologised later that day at a televised press conference. He did not push the matter again afterwards, and so Whittle’s use of the word ‘kept’ is plainly something akin to a misquotation. As indeed is his use of the word ‘insisting’, as Kelly had only been asking. All the writers on this essay have directly experienced Whittle’s brazen tendency to delete comments where he has the power to, and then to invent quotations to justify the actions. With Whittle’s history of blatant smearing of people he has differences-of-opinion with, it is very difficult to accept that the inaccuracies in his writings are always a result of mere carelessness or clumsy articulation. In a recent, at the time of writing, and ill-advised series of public remarks on his Facebook page about proceedings at the re-booted Coroner’s Inquest – in which he largely dismisses every witness offering information favourable to the South Yorkshire Police’s case as having been ‘bought’ off (characteristically, he offers not a shred of evidence to support such irresponsible and incendiary remarks) – Whittle has made a little-noticed assertion. It once again does not quite sit well alongside his book. In amongst a series of deeply irresponsible accusations aimed at witnesses speaking at the Hillsborough Inquest, Whittle makes a claim contradicted by his book. He claims that, before joining the queues for the turnstiles, he and a couple of friends went into a pub close to the stadium. 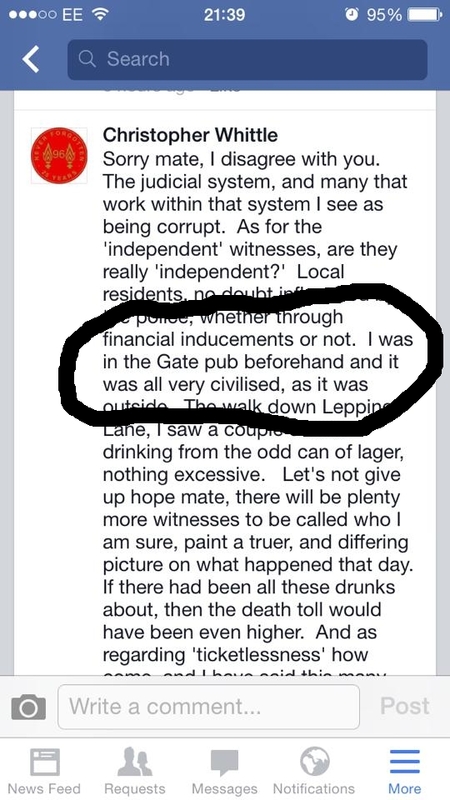 The pub was called The Gate Inn. Well, that is nothing major, but it is a little awkward. Whittle seems to be putting on the appearance of greater certainty whenever he disagrees with somebody. Perhaps because he fears that if he sounds unsure of any detail, it will make people feel less inclined to take him at his word as a whole? Whittle briefly discusses Heysel in the early pages of With Hope In Your Heart. On page 14, he describes correctly how Liverpool supporters had been attacked by Italian fans at the previous year’s Final, played against AS Roma. He then asserts that, as the opposition in 1985 was another Italian club, Juventus, the Liverpool supporters arrived in Brussels looking for revenge. That claim is not quite accurate. 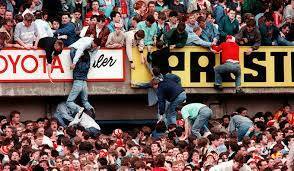 Very few Liverpool fans have ever mentioned revenge as their motivation for violence on the night of Heysel. The main motivation instead was paranoia; a generalised fear that Italian fans would attack them again, as had happened in Rome the year before. With this rather laboured, jumbled attempt at writing in metaphors (infernos do not boil, nor do they explode, and a time bomb would not be triggered manually), Whittle arguably distracts from his inaccuracies by sounding comically inept. But what really matters is that the assertion he makes is completely unfounded. No convincing link has ever been established between the riot at Heysel and any right-wing political groups. There have been many rumours about possible infiltration of the Liverpool fanbase by the National Front – some of these rumours started circulating even as the riot was going on – but none has ever turned up any real evidence. One frequent whisper is that the Front had been passing racist literature around the Liverpool fans stating, “A black man could have stolen your job”, and yet not one copy of such a leaflet was ever found anywhere in the stadium, or indeed in Belgium as a whole. But also, this is Whittle once again presenting an urban myth as an undoubted fact. The notion that the rioters at Heysel were fans of London clubs was first put about by John Smith, then-Chairman of Liverpool Football Club, and clearly not having one of his better moments. The then-Chief Executive of the club, Peter Robinson, later told a bizarre anecdote from what he claims were the early stages of the riot, about meeting in one corner of the stadium a handful of violent young men dressed in Liverpool shirts, but talking in London accents, and chanting the name of Bill Shankly (even though Shankly had retired from managing Liverpool in 1974, and had died of a heart attack in 1981). Little in this story rings true at all, and it is widely viewed as a rather cheap attempt at shifting the blame for the Disaster onto fans of other clubs. Once again, no real evidence has ever been found to support the idea of supporters of London clubs being a significant presence at Heysel, and given that most of the rioters who were eventually convicted of manslaughter in 1988 were from Merseyside, the notion does not seem to fit. Whittle goes on to write on page 16 that he saw Liverpool fans tearing down a fence that separated them from the Juventus fans, as he watched the riot unfolding on TV back home. How he saw all that could do with some explaining, as the BBC broadcast for the Final did not begin until shortly before 8pm BST, and the early stages of the riot were around 7:15pm BST. Whittle presents it as an unimpeachable historical fact that the Juventus fans were the ones who started the fighting, not the Liverpool fans. But in reality, we do not know that. It seems likely on analysis of the famous story of a very young Liverpool fan, who somehow arrived in the Juventus section of supporters, apparently being beaten up by Italians. But there are gaps in the story – including no explanation for what happened to the boy afterwards – that need filling before it can be treated as definitive, and it is, in any case, noticeable that Whittle does not even mention that story at all. In fact, he does not present any coherent case for holding the Juventus fans to blame for starting the riot, no coherent description of how the fighting began. All he really mentions is the throwing of stones, and yet he cites no evidence that that was started by the Italians. He just declares that it is a ‘fact’, and then more or less leaves it at that. Later in the chapter, Whittle contradicts himself yet again. Having stated earlier that some Liverpool supporters travelled to Brussels looking for revenge, he then tries to dismiss accusations that Heysel was murder by insisting that what happened was not premeditated. Now it is certainly true that there were no murders at Heysel – the thirty-nine deaths in the Tragedy were not a result of the fighting but of a crush that formed among people running away from the fighting – but by arguing that supporters went to Belgium looking for revenge, Whittle is in fact saying that the riot was premeditated. The position of the writers of this essay, for the record, is that the riot was not premeditated; we are simply saying that Whittle needs to draw conclusions that are consistent with the background information he offers, and that he would help himself considerably if he made sure that the background information is full and accurate to begin with. All in all, Whittle does not seem as knowledgeable about the Heysel Stadium Disaster as he tries to make himself sound, as some of the assertions he makes are quite plainly taken from common rumours and empty hearsay. And so he should. His readers, after all, are the people who pay good money to receive copies of his book, and he receives a share of that money in royalties. The problem is, we do not entirely accept that this is a promise he intends to keep, given his history of losing all control over his temper and attacking people when they have found fault with his work. Referring once more to Martin Odoni’s review of this very book, in which numerous errors, quality issues, and amateurish habits in the text were highlighted and criticised, it is noticeable that Whittle’s reaction did anything but let the readers judge. Instead, Whittle lashed out and tried to imply that the review was just a hatchet job by someone with a vendetta. Hardly an example of letting “the readers be the judge” of anything. ‘In Conclusion‘, we wish to reiterate that we are not necessarily accusing Whittle of out-and-out fabrication. We are merely highlighting why it is a possibility, as his claims to being a victim of the Hillsborough Disaster do not appear to be well-supported by the known facts, or by his own stated case. Quite simply, Whittle is a poor writer, whose dearth of eloquence or clarity has rendered him consistently powerless to convey his full meaning. Whittle insists that he must be a good writer because his book, apparently, ‘sold well’, even though that actually tells us nothing because people will buy a book before they get a chance to read it and decide whether they like it. But if we were to take that claim at face-value, that would suggest that the anecdotes he gives us in his book must be written as well as they can be. This would mean the anomalies are impossible to explain away, suggesting they are either made up or at least heavily embellished. As we say, those are the only two possibilities we can see. He is either a liar, or he is a writer of little conspicuous talent. We have decided to let Whittle be the judge of that, and to tell us which one he is.